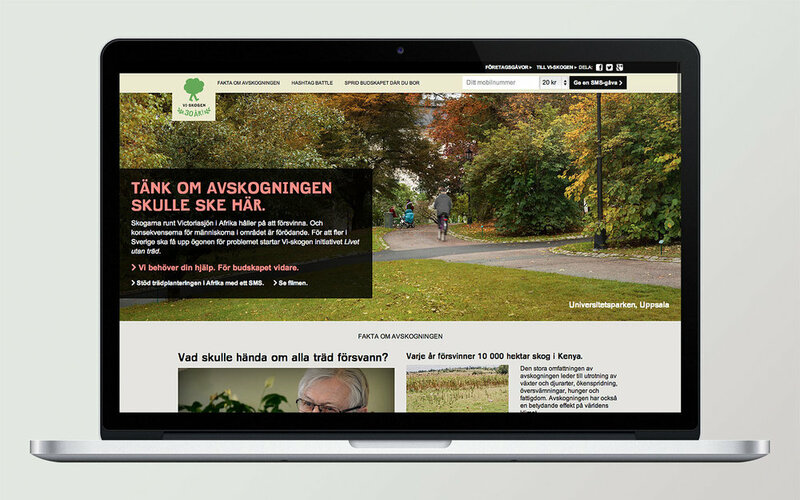 Raise awareness of Swedish agroforestry organization Vi-skogen, and get people to donate. Forget long words and complicated codes when texting gifts to charity. 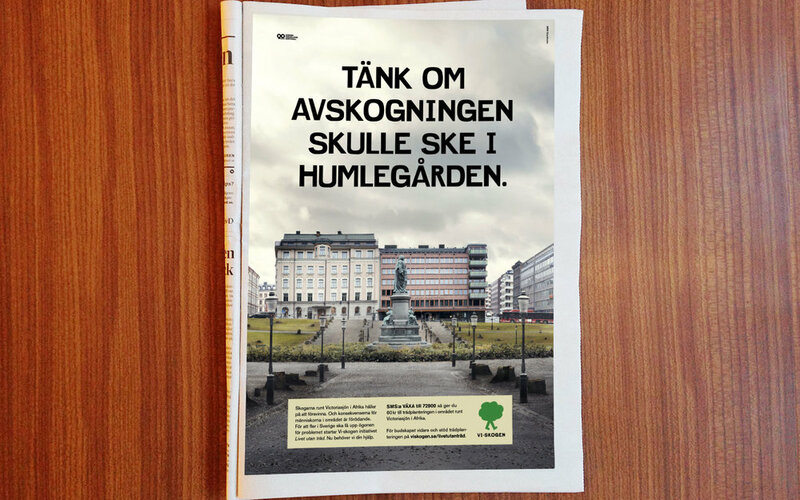 Text one tree emoji and Vi-skogen plants one tree in eastern Africa. Text two tree emojis and they will plant two trees. Each tree costs 20 SEK (2 USD) and you are allowed to send up to 25 tree emojis in one text message. The campaign was launched on social media, starting with Facebook. 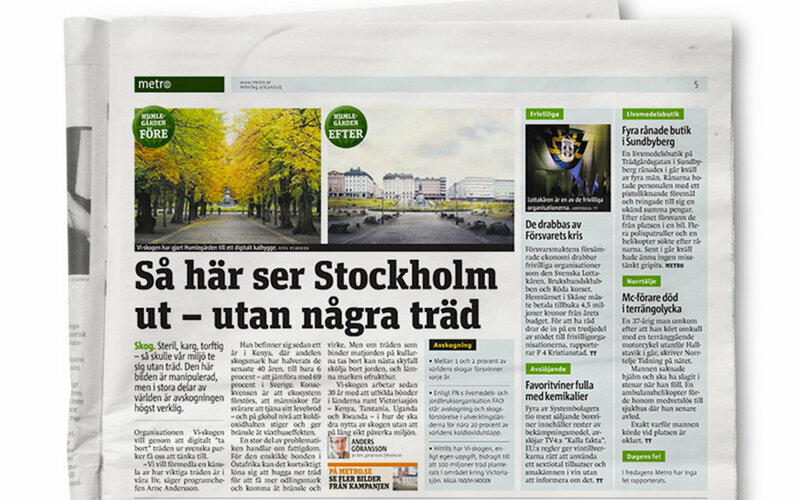 The idea was then extended as a film on a outdoor screen in central Stockholm. There are other campaigns using emojis in their creative solution. However, this is the first time that the emoji has a real value.